2016 ~ China Bangla Water Technology Ltd.
China Bangla Water Technology, an expert Drinking Water Treatment Processing, salty Sea water refining system, waste water treatment system, iron removal system, Commercial Water Treatment System & hospital Water Treatment Plant. 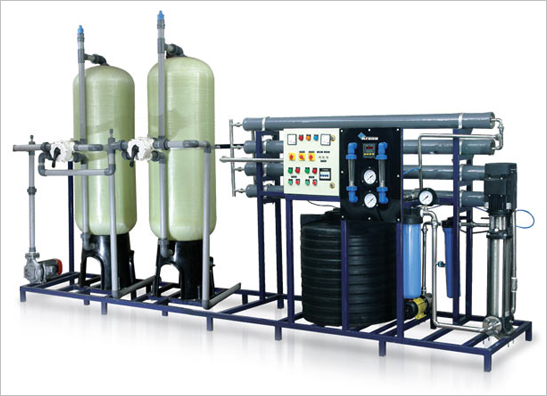 The China Bangla Water Technology is working as an importer & distributor of RO (Reverse osmosis) water purification systems & UV (Ultraviolet) water treatment systems, Domestic /Commercial/Industrial/Residential/ Home /Household Water Filtration Systems, Water treatment for Food processing and packaging plants, etc. China Bangla Water Technology supplies Drinking Water Treatment System in Bangladesh, Water Purifiers Suppliers, Garments Workers Drinking Water Purifier Suppliers in Bangladesh, UV Water Purifier Supplier in Bangladesh, Reverse Osmosis Water Purifier Supplier,‎ Domestic Water Purifier, Ultraviolet (UV) Water Purifier Supplier in Bangladesh, Commercial Drinking Water Purifier, Water Technology Water Purifiers in Bangladesh, Drinking Water Filter System for Garments Factory, Residential Reverse Osmosis (RO) System Supplier,We are a Manufacturer, Apartment Drinking Water Purifier, Hospital Drinking Water Purifier Supplier, Industrial Drinking Water Treatment Plant Supplier, Importer and Supplier of Water Purifier System Supplier in Bangladesh, Household Reverse Osmosis (RO) System, Whole House Reverse Osmosis Water Purifier Supplier in Bangladesh. Since 2002, China Bangla Water Technology has been importing products from USA, China, Europe, Thailand and many other countries of the world. Our supplied R.O. 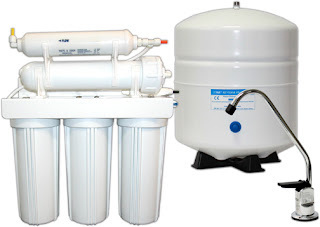 filtration systems with quality are as good as other best companies in this field. All water purification products are made with the international standard and R.O. plants with equipment are sold to whole Bangladesh, India and other African, or Asian Countries. We are a Manufacturer and Supplier of Food Processing Machinery in Bangladesh, coconut shell charcoal, Ion Exchange Resin, Anion & Cation Resin, Hotel Central Drinking Water Treatment Plant, FRP Vessel, UV Water Sterilizer Manufacturers in Bangladesh, Ion Exchange Softener Resin, Household RO Water Purifier Supplier, Ultraviolet System, Activated Carbon Supplier, Chemical dosing pump, Ion Exchange Resin Anion & Cation, CNP Pump, Food processing Machinery supplier in Bangladesh, Hospital Central Water Treatment Plant, All Types of Water Treatment Process & Solution , Granular Activated Carbon Supplier From Bangladesh, Water Purifier, Drinking Water Treatment Plant,Coconut Shell Activated Carbon, Household Water Filter, Domestic Drinking Water Purifier, Mixed Bed Resin, Hardwood charcoal, Powder Activated Carbon Supplier, Coconut Shell Granular Activated carbon manufacturers Factory and Exporter in Bangladesh, FRP Tank, Domestic RO Water Purifier Supplier, Apartment Central Water Treatment Plant, Ozone generator, Juice Plant, Automatic filling Machine,Water filter media, Packaging machine, Saline water treatment Plant, Plastic Blow Molding Machine Supplier in Bangladesh, Coconut Shell Activated Carbon Supplier, Coconut Shell Granular Activated carbon manufacturers, Hemodialysis Water Treatment Plant, PP Filter, Industrial Water Treatment Plant, Bottled Water Treatment Plant, Swimming Pool Pump Supplier, Bangladesh Swimming Pool Supplier Company, Complete Swimming Pool Suppliers in Bangladesh, Swimming Pool Filters Supplier, Swimming Pool Heaters Supplier, Swimming Pool Suppliers in Bangladesh, Swimming Pool Treatment, Swimming pool & SPA Equipment Supplier, Swimming Pool UV Water Treatment, Swimming Pool Water Treatment Plant and Chemical, UV Ozone for Swimming Pools, UV for Swimming Pool Supplier in Bangladesh, Hotel Swimming Pool Equipment Supplier, UV Filter for Swimming Pool,Swimming Pool Water Treatment Plant Accessories, Swimming Pool Activated carbon Filter, Swimming Pool chemicals Supplier, Indoor and Outdoor Swimming Pools Supplier in Bangladesh, Swimming Pool Ultraviolet System, Ultraviolet Swimming Pool, Commercial Swimming Pool Equipment Supplier, Swimming Pool Ultraviolet, Swimming Pools Filters, Solar Swimming Pool heaters Supplier, Cation Exchange Softener Resin, Seawater Treatment Plant, water filter, Manganese Greensand, Apartment Central Drinking Water Treatment Plant, Coconut Shell Activated Carbon Manufacturer, Activated Carbon Supplier, UV light, Domestic RO Water Filter Supplier, Domestic Water Filter Supplier, Industrial Drinking Water Treatment Plant, Household water filter, Swimming Pool Water Treatment Plant, Metering pump, Swimming Pool and SPA Supplier in Bangladesh, Household Water Filter Supplier, Domestic Water Purifier Supplier, RO machine, Activated Carbon Manufacturer, Household RO Water Filter Supplier, Ultraviolet Water Sterilizer Manufacturers in Bangladesh, Plastic Injection molding machine, Manganese Zeolite, coconut Shell powder activated carbon, RO membrane, RO System, Water filter, Swimming Pool Equipment, WTP Plant ETP Plant, Water Pump, Coconut Shell Powder, Carbon filter, Mineral Water Quality Machinery Supplier in Bangladesh, Bangladesh Drinking Mineral Water Bottle Filling Machine Line Supplier Company, Drinking Water Small PET Bottle Factory Filling Machinery Supplier, PET Water Bottle Machine Supplier in Bangladesh, Drinking Water Bottle Washing Rinsing Filling Capping Machine Supplier in Bangladesh,Small Water PET Bottle Manufacturer Factory, Small PET Mineral Water Bottle Machinery Suppliers in Bangladesh, Drinking Water PET Bottle Washing Rinsing Filling Capping Machine Supplier in Bangladesh, Drinking Water Small PET Bottle machine Supplier in Bangladesh, Drinking Water Treatment Plant.